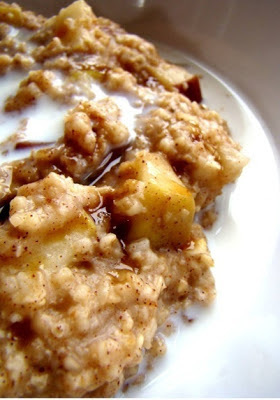 Throw 2 sliced apples, 1/3 cup brown sugar, 1 tsp cinnamon in the bottom of the crock pot. Pour 2 cups of oatmeal(I use Old Fashioned Quaker Oats) and 4 cups of water on top. Do NOT stir. Cook overnight for 8 - 9 hours on low.